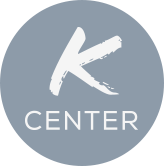 The main mission of the KCenter is to support and promote SKEMA's educational innovation initiatives. To do so each year we offer to permanent teachers the opportunity to candidate to educational innovation award by promoting an action or a pedagogical device. A new element that had never been set up before in SKEMA. Generating Improvement (developing skills, improving learning experience for students, teacher and the whole institution.